After about two days of pre-ICO, all-in-one cryptocurrency platform Holdvest.com released an announcement about closing the ongoing round of crowdsale. As stated in their official Medium blog announcement, they are going to restructure their ICO profile, and the amount that was collected already is quite enough to continue work and prepare for the main stage of their crowdsale in June. 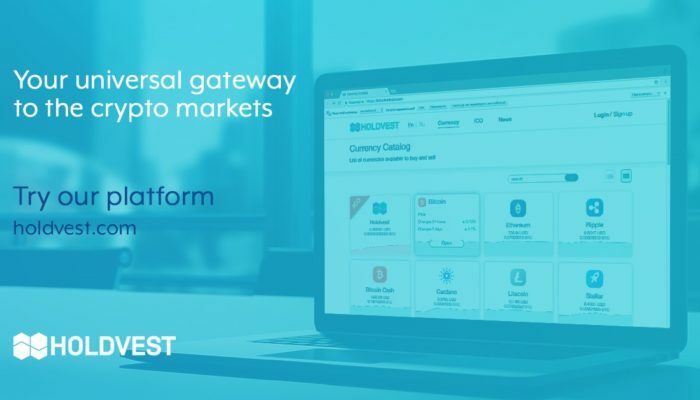 HOLDVEST is a unique new trading platform – which is already working in beta – combines several different features and technologies to make trading crypto and maintaining a winning portfolio straightforward. The platform is built around its flagship liquidity aggregator to allows users to trade with dozens of different exchanges, ensuring the best price for every buy and sell just in one click. The initiative is based on the idea that crypto services need to be easier to access and traders shouldn’t need any special expertise to gain the best prices on the market. All team members are professionals in the IT business and bring their considerable experience and relevant expertise to the HOLDVEST project. One of the prominent examples is technical director Alexey Koloskov, who has been active in blockchain and cryptocurrency circles for many years and is best known for designing and developing Waves DEX: the platform’s flagship decentralised exchange. Stay informed about all project news, subscribe to twitter and telegram group.